Shipley Parish Council decided to open up a piece of land that they owned, which was used by a football team. The area backed onto the wonderful Shipley Country Park and was heavily populated by dog walkers, people using the area to cut through to the country park and those using the network of footpaths that also skirted around Pit Lane. The land was on the drive to the old American Adventure site and had great potential. 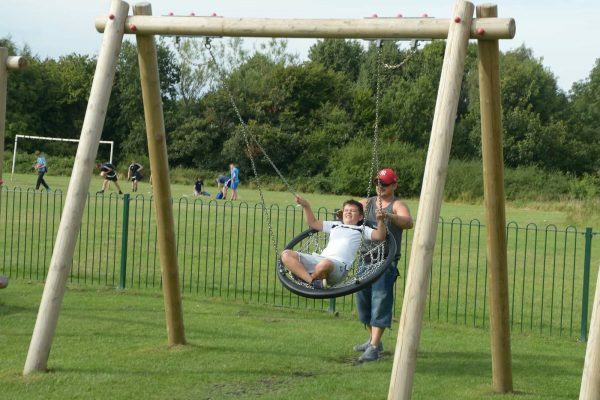 The Parish Council already had a play area which was tired and limited to say the least. 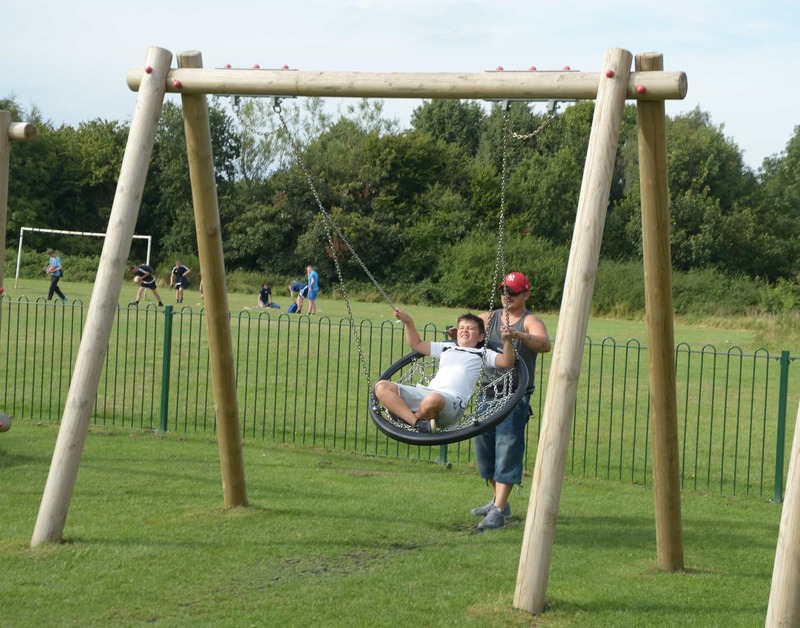 Galvanised to provide better facilities for the community, the Parish Council went about sourcing some external funding to add to the Parish Council’s precept. 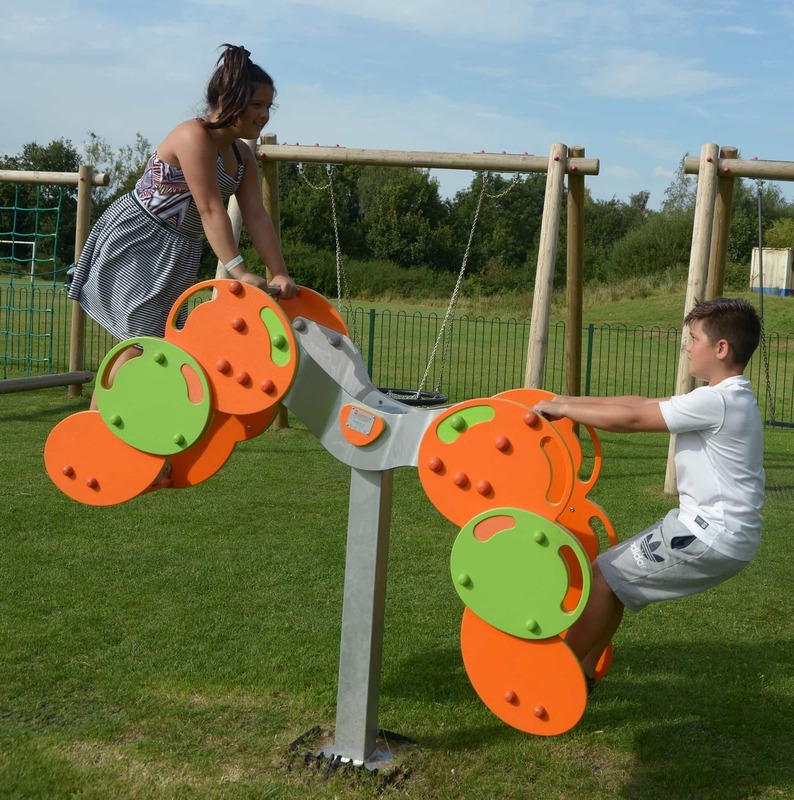 Streetscape were selected to be the providers of the play area, which was to blend in with the existing area and provide a wide range of fun and challenging play equipment. 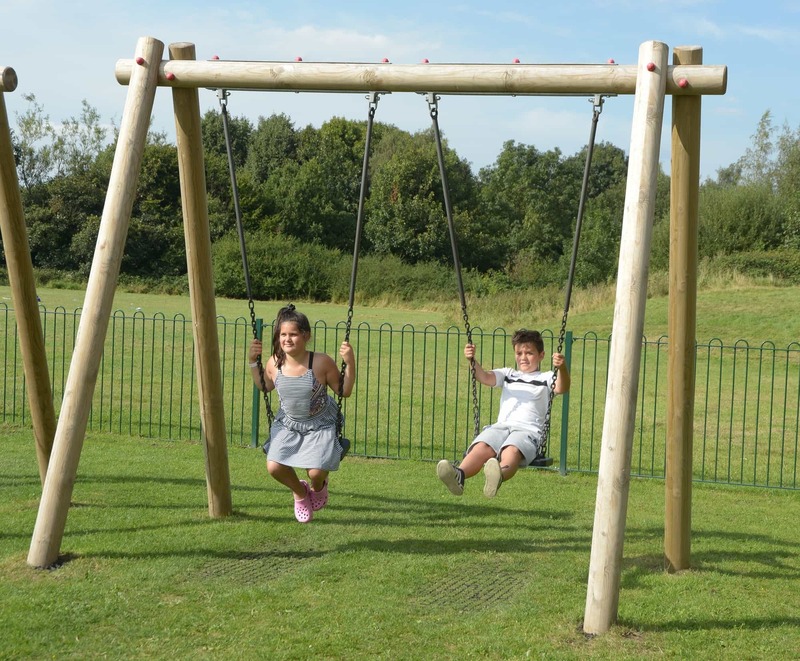 Inclusive items were included, the sturdy basket swing, flying saucer dish roundabout and frog springer to allow children of all ages and abilities to play together. 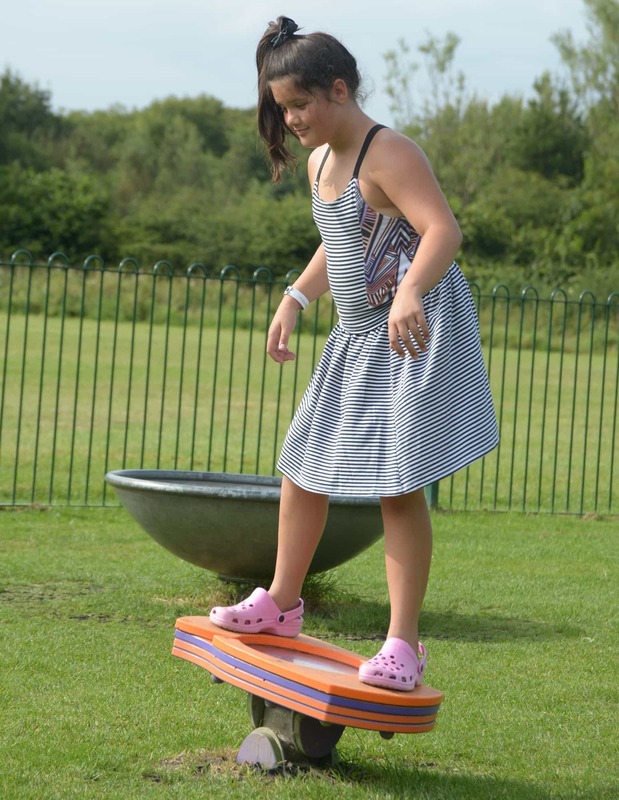 Also included was the Bubble Stand on See Saw, a dynamic play item with a modern twist on the classic playground favourite. 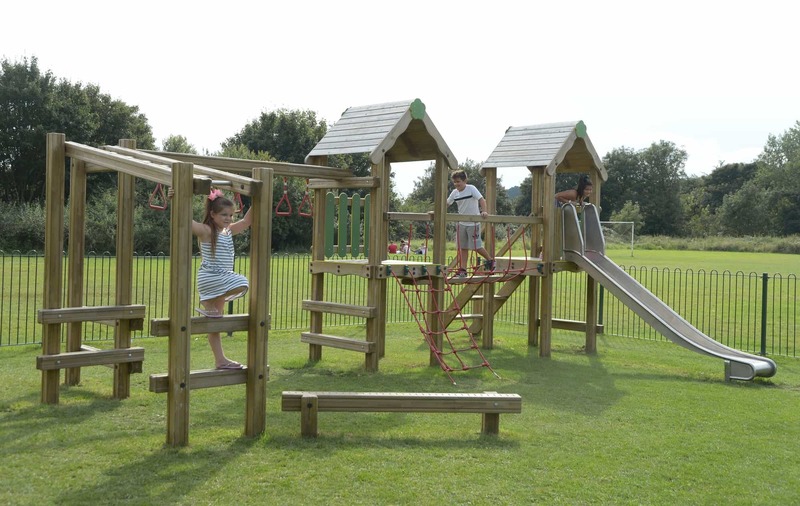 The inclusion of the Bosworth Multiplay Unit with a slide and a climbing frame covers a wide range of user. 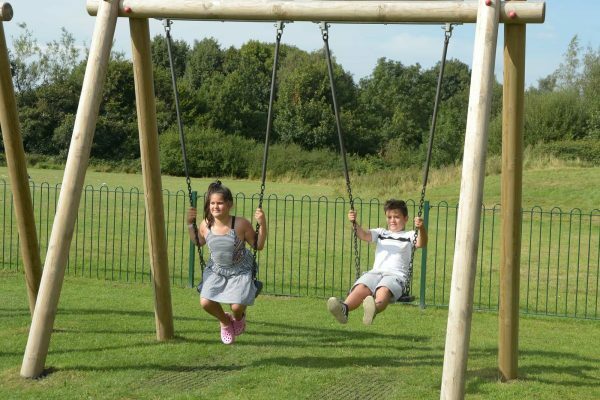 Stylish seats surround the play area so that guardians can soak up the views while their charges burn off some energy. 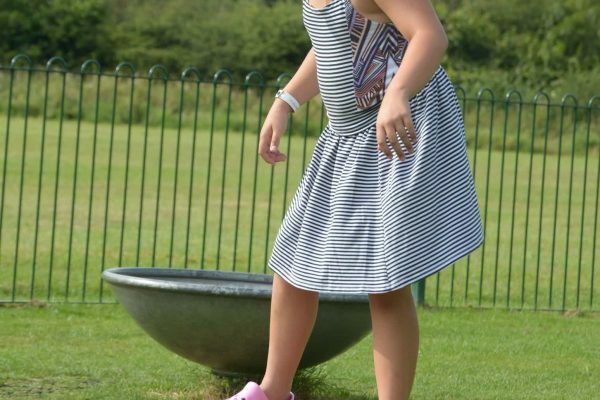 The park has been a roaring success and it makes you wonder where the children played before.